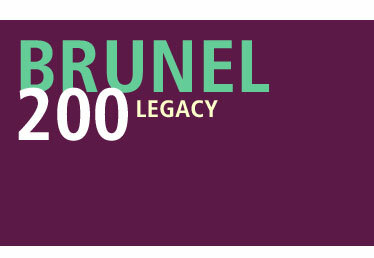 Welcome to the Brunel 200 Legacy website. Throughout 2006, Brunel 200 led the celebrations marking the 200th anniversary of the birth of Isambard Kingdom Brunel, one of the most versatile, audacious and inspirational engineers of the nineteenth century. Brunel 200 provided an exciting and wide-ranging programme of exhibitions, learning programmes, publications, walks and trails, arts projects, competitions, debates, media programmes and talks that commemorated Brunel’s life, times and legacy and inspired the Brunels of the future. Brunel 200 officially ended in September 2006, although some projects continued to the end of the year including the exhibitions The End of the Line at the Royal Cornwall Museum and The Forces That Made Brunel at Explore-At-Bristol, the erection of the Dawlish to the Warren Coastal Footpath History Boards and the erection of new interpretation boards at the Holburne Museum, Bath. Although the news, events and resources information on the main website will no longer be updated, this Brunel 200 Legacy website provides extensive details of all the arts projects, exhibitions and other events and activities that have taken place in 2006. In addition to written descriptions, the site includes photographs along with feedback from those who have taken part, downloadable documents and video footage. If you'd also like to visit the main site please click on the Brunel 200 Main Site link in the menu on the left. Some of the documents on this site require Acrobat Reader. Download it here for free.